Since millions of people around the world have witnessed sunny days turned cloudy by aircraft, speculation has run amok. This is understandable; explanations of why this happens now, but didn’t used to happen when we were kids, are based on observation without context. Yes. Contrails are enhanced, but only as a byproduct. Enhanced contrails and artificial clouds were not the goal. The goal was weather modification, but not to produce additional clouds, per se; the primary objective was precipitation enhancement, and has been for decades now. Let’s reverse this. How could we “enhance” jet contrails if we wanted to? The answer from science is straightforward: provide an environment with dense cloud condensation nuclei. Because what we SEE, the visible part, is water… tiny ice crystals reflecting sunlight like snow on a mountainside. To get these contrail clouds to stick, we could add nuclei to the atmosphere, creating a field of tiny ice particles for the moisture to stick to. And we do. 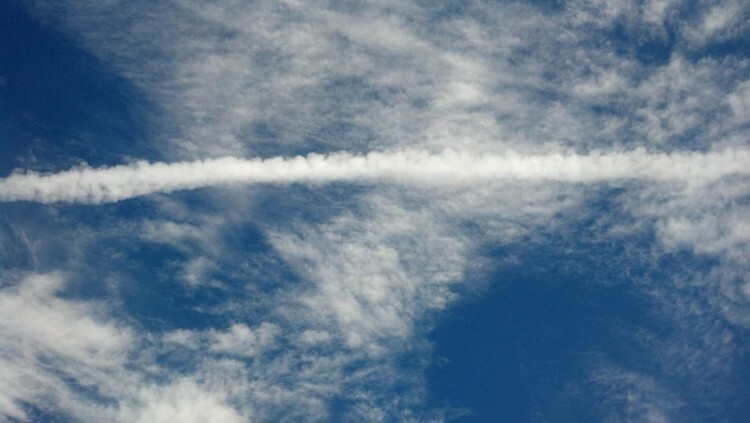 Cloud-seeding aircraft routinely release silver iodide aerosols into the atmosphere at 20,000 feet and higher. This is done in front of incoming storms to “thicken” them and cause more rain and snow. The inevitable result of adding massive quantities of condensation nuclei is thicker, more persistent clouds… and that applies to any water-based clouds, including those created by aircraft.